If you’re travelling to Orlando from overseas, one of the most exciting things to do beyond the theme parks is to visit a live sporting event. Orlando and the Central Florida region is blessed with more than its fair share of great sporting teams – so here, again, you will be spoilt for choice. You can catch NBA Basketball in Orlando thanks to the Orlando Magic. The NBA season runs October to April. If you’re in town during these months, you should find it easy enough to catch the excitement at the Amway Center, one of the NBA’s most fantastic arenas. If you haven’t seen a live Basketball match in the USA before, you are in for a treat. Grab yourself a corndog, soak up the atmosphere and enjoy! The legendary Daytona International Speedway track is just a one-and-a-half-hour journey from our vacation homes in Kissimmee and Davenport. We highly recommend making the trip to the Atlantic Coast to enjoy the high adrenaline fun of a race day. Even when there isn’t a race weekend scheduled, if you are a motorsports fan simply making the trip for a stadium tour or driving experience will be a vacation highlight. Ice Hockey might not be the first thing you think of when you think of Florida, but the state has three ECHL teams. The Orlando Solar Bears play in the South Division of the ECHL’s Eastern Conference. 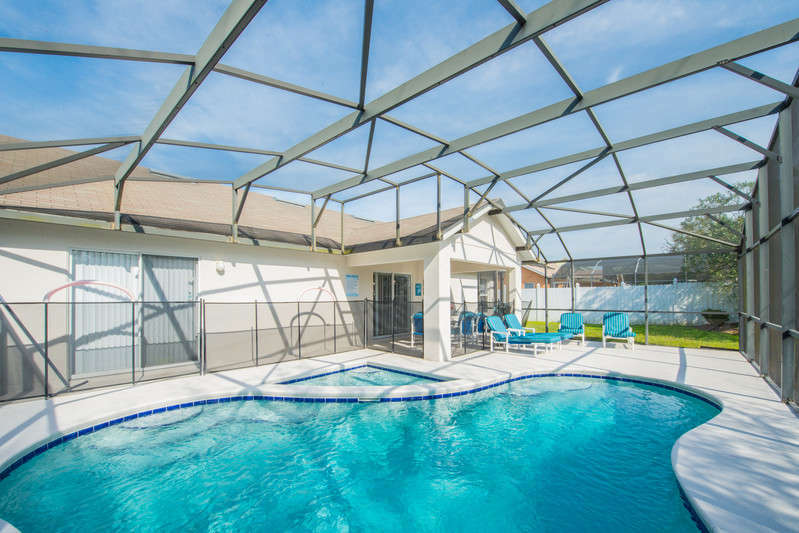 The season runs October to April, so if you are staying in Orlando through the winter months, book in advance to see the Solar Bears play one of their home games at the Amway Center. If you want to catch major league baseball from Orlando, your best option is the two-hour journey across to Tampa to see the Tampa Bay Rays play at their home ground, Tropicana Field in St. Petersburg. The MLB season runs April to October, but earlier in the year you may be able to catch pre-season Spring training. Sadly, the domed roof of Tropicana Field isn’t retractable, so you won’t get to soak up the sunshine, but if you are able to catch a game it will be worth the journey. A day at the baseball is an unforgettable experience. If you’re new to baseball, don’t let not knowing all the rules put you off. Go with an open mind and you’ll have a great time. Orlando has two fantastic soccer clubs who play at the Orlando City Stadium. The men’s team Orlando City SC plays Major League Soccer. On match days the stadium and surrounding area is awash with purple scarves and banners and a wall of noise. The women’s team, Orlando Pride, also plays top-flight, but can suffer with low attendance. This means you can show support for the women’s game and pick up tickets close to match dates. The soccer season in the USA runs March to October. Even outside these months, you may still be lucky enough to catch cup games or international matches. If you want to see NFL football while you are vacationing in Orlando, you will need to make the two-hour journey to Tampa to see the Tampa Bay Buccaneers. Their season runs August to January. However, if you don’t fancy making the trip to Tampa, you can find an equally electric atmosphere at college football games a little closer to your vacation home. College football is big news in the USA and the season runs August to December. Orlando is home to the University of Central Florida’s football team, the UCF Knights. They play in a fab on-campus stadium and you will be treated to a great sporting experience if you go to a game. Orlando is now the Home of American Tennis. In 2017, the USTA National Campus opened in Orlando. Tennis enthusiasts can visit the USTA National Campus to watch, learn and play at one of the largest tennis facilities in the world. Finally, a word about our ticket partner Kissimmee Guest Services. They are a super-friendly and helpful bunch of people who guarantee the best rates on tickets for attractions and events in Orlando and around Central Florida. As well as the guarantee on prices, I really rate them for their knowledgeable advice about which ticket combinations offer the best value. They really tailor their advice to match your personal preferences. If you do want to book tickets for sporting events, I recommend giving them a call.